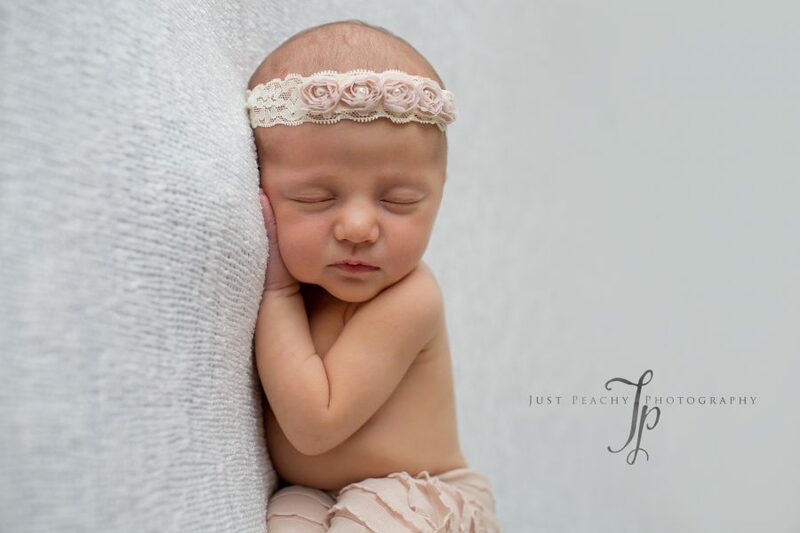 Just Peachy Photography is a full-service, custom portrait studio that specializes in newborn and baby portraits. Just Peachy also photographs maternity, children and family sessions as well as small events such as showers and first birthday parties. The private studio is located in the downtown Palatine area in a historic firehouse building with great character. The studio is full of hundreds of quality props for clients to use in their portraits. Many of the props are handmade and one of a kind and come from all over the world. This is one of the many reasons that Just Peachy Photography stands apart from other photography studios in the area. Professional photographer and owner, Erika Williams, is a premiere photographer providing unique, artistic portraits for families in the Northwest Suburbs of Chicago. Erika has been photographing babies for over 8 years with a lot of experience in newborn posing and working with families with younger children. Each session is unique in nature with a focus on the relationship between the family members. Erika likes to capture a variety of classic posed images and lifestyle images. The result is portraiture that clients will cherish for years. Just Peachy Photography provides clients with an outstanding experience from beginning to end and most clients go home with beautiful wall art or an heirloom album that they can enjoy as a family and pass on for generations.